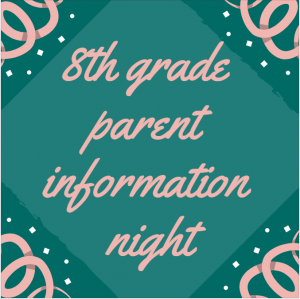 There will be an 8th grade Parent Information Night for students entering high school in the fall of 2019. Teachers and students will be there to encourage students to take challenging yet fun classes. This evening will provide a big picture of your student's high school career with an introduction to various clubs and school programs available to students.